Sazón Natural is a 100% tapatía company that was founded by Paty Serrano in 2009, a housewife with a lot of experience in the kitchen who was looking to provide healthy foods to her family and not finding this alternative in the market decided to undertake this adventure with the creation of your seasonings. • ALL OUR PRODUCTS ARE 100% NATURAL, do not contain chemicals or preservatives. • They do not contain Monosodium Glutamate. • Our supplies are not genetically modified. • Mexican and even to other parts of the world. We are a socially responsible company and we elaborate our products in an ecologically friendly way and our employees are highly benefited with each purchase of our consumers. Hominy soup is the most popular soup in Mexico. It is made with big kernels of corn that are puffy and chewy with a very unique flavor owing to a special processing technique. This seasoning mix is perfect to make a delicious hominy soup. 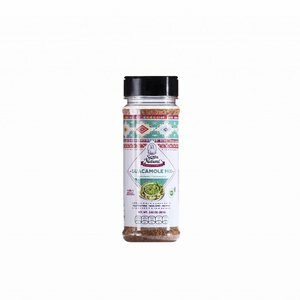 The well-known jalapeno is the most important ingredient of this seasoning, It has also a citric touch with a bit of onion and garlic that will make your food great. This seasoning pairs perfectly with seafood and potatoes. With this seasoning you will get the smokey flavour of the chipotle and also some trails of citric and spicy flavour. This seasoning works great with beef, chicken, shrimp and pork. The authentic Mexican flavor compound of tomato, onions, garlic, salt, chiles and spices. It is great for making salsas, enchiladas or add it directly to your meals. 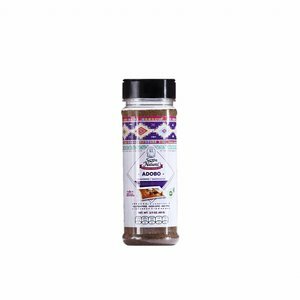 This product has a very powerful ingredient called Annatto . Its scent is described as "slightly peppery with a hint of nutmeg "and flavour as " slightly nutty, sweet and peppery". This seasoning is excellent for snacks, soups and fruits. With this seasoning you can prepare your tacos very easy. You can also use it on fish, beef, chicken or vegetables.